Some good news for the UK industry in turbulent times is always welcome, and several announcement this month showed us why the biotech sector in the country is looking extremely promising going into the next few years. A new report found that the number of R&D companies has increased 65% since 2016 amid soaring annual investment of more than £2 billion. The UK government has selected life sciences as one of its industries to support as part of its industrial strategy, and the latest figures from investment manager Downing LLP suggest it has backed a winner despite the uncertainties caused by Brexit. Findings from the analysis show annual investment in biotech reached £2.2 billion in 2018, and three new companies in the sector have been incorporated every working day during the first two months of 2019. Analysis of official data from the Companies House register indicates that 3,456 active companies are currently involved in biotechnology research and development (R&D) activities. Findings follow record investment in the UK biotech sector during 2018, with figures from the UK BioIndustry Association (BIA) and Informa Pharma Intelligence revealing the sector raised an unprecedented £2.2bn from investors in 2018: up 85% from 2017. Venture capital has contributed 51% of UK biotech funding from 2016-2018, increasing by 63% from £681 million in 2016 to £1.1 billion in 2018. While private limited companies make up the majority of active businesses in the sector – 96% in Q1 2019, up from 95% in Q1 2016 – Downing’s analysis also shows the number of public limited companies (PLCs) has increased by 40% from 30 to 42 as biotech firms experience continued growth and success. One of the more successful British biotechs in recent years has been RNAi speclisaits Alnylam, who scored big this month as Regeneron has signed a collaboration deal potentially worth $1 billion with the company to develop and commercialise drugs targeting eye, central nervous system (CNS), and liver diseases. The news came on the same day that Alnylam announced it had agreed with Sanofi to conclude the research and option phase of their 2014 RNAi therapeutics alliance for developing drugs for rare genetic diseases. 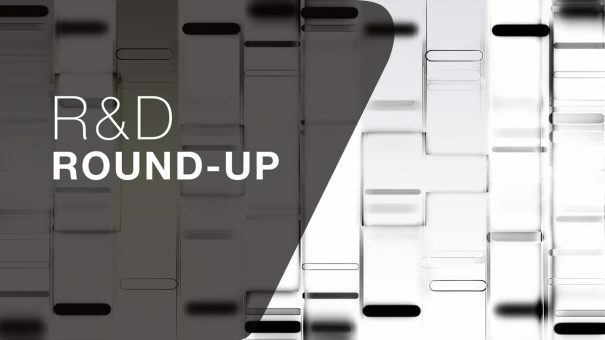 And it wasn’t just the UK that saw several biotech deals announced this month. Alexion announced partnerships with Denmark’s Zealand Pharma and Sweden’s Affibody, to research peptides for complement-mediated diseases and a rare autoimmune disease drug, respectively. The partnership with Affibody will look at co-developing the company’s ABY-039 for rare immunoglobulin G-mediated autoimmune diseases. Meanwhile, Novartis revealed that it is to buy US biotech IFM Tre in a deal worth up to $1.575 billion, adding a potential drug for the fatty liver disease known as NASH to its pipeline. Finally, Roche said this month that it plans to withdraw and refile its pre-merger notification for the proposed Spark Therapeutics acquisition next week, kicking off a new 15-day waiting period that will expire on 25 April and will extend the tender deadline until around 2 May. Roche and Spark are still waiting for the Federal Trade Commission (FTC) to give a green light to the transaction, which is another reason for the extension.